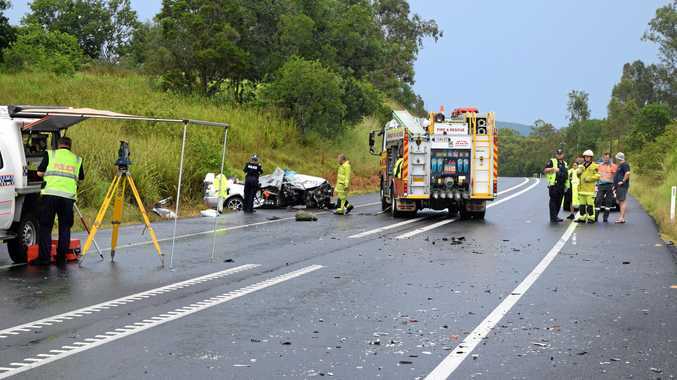 ONE man died and five other people were injured in a two-vehicle head-on crash on the Bruce Highway at Chatsworth on New Years Day. If there is one thing worse than the traffic on the Bruce Highway north of Gympie it is the drivers, according to residents of the area between Chatsworth and Glenwood. DEPUTY PM Barnaby Joyce made an urgent detour to Gympie yesterday to inspect the scene of Monday's fatal head-on crash at Chatsworth. A FOILED armed carjacking in Brisbane was the start of a high-speed air and land pursuit which tore through Gympie yesterday afternoon. TWO Gympie men who risked their lives to save a boy from drowning and attempted to save another will be recognised for their heroic act. EXTREME violence in a Gympie region household of two brothers, led to suspended jail for one of them when he appeared in Gympie Magistrates Court yesterday. 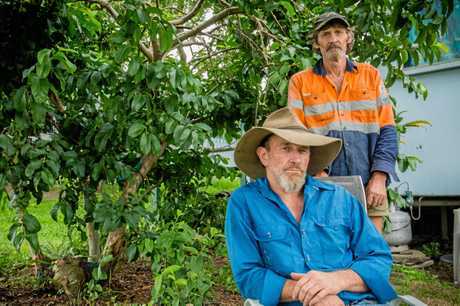 A FARMING expert from the University of Queensland says Gympie's climatic conditions could be perfect for medicinal marijuana production. GYMPIE is stepping out of its rough-shod reputation according to the town's top cop Gregg Davey. 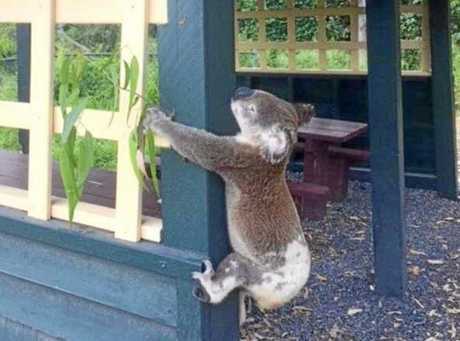 A PHOTO of a koala found screwed to a picnic shelter in the Gympie region went viral, while the outraged community waited for the autopsy to show if it was alive before being tortured. SUNSHINE, surf and spectacular views have proven a winning combination these summer holidays with tourism a soaring success around the region. LIGHTNING from severe storms which lashed the region on Saturday night is believed to have sparked a fire which partially destroyed a converted shed at Veteran. A STRESSED out Facebook stalker masked his real identity as he used the social media site to harass a police family, Gympie Magistrates Court has been told. The school holidays are rapidly coming to a close but crowds at Rainbow Beach are still huge this week. A large southerly swell forced the closure of Rainbow Beach yesterday. POSTS on a Gympie Facebook "vent" page were condemned after they appeared to make light of the suicide of teenager Dolly Everett. TAKE out the sunscreen and turn on the air-conditioner Gympie - the heat is officially on, with data revealing the region has just sweated and sweltered through the hottest five years ever. THE Gympie Facebook group Gympie Whinge, Vent and Trolls is the subject of a police investigation after a weekend of online abuse triggered by an article critical of comments made following the suicide death of Dolly Everett. A WOMAN'S family is grieving today after she lost her life in a horror head-on collision on the Mary Valley Highway. TOOLARA forest could be the Wide Bay's future dumping ground, with the Bonnick Rd landfill to be replaced by a new transfer station at Monkland within the next three years. QUEENSLAND'S tourist hot spots are firing with the latest jobs data showing they are at or near the accepted full employment level of 5 per cent. CORRECTIVE Services is investigating a Facebook page which proclaims the innocence of a Cooloola Cove father and son, who were last year convicted of murder, torture and interfering with a corpse. RAINBOW Beach residents are more than likely waking to a closed beach today, at least for the first part of the morning when a king tide engulfs the Cooloola coastline for the second day in a row and contributes to a cocktail of life-threatening conditions. Region's top ambo and swim instructor get behind the push for compulsory swim lessons in Queensland primary schools. DETERMINATION and love help accident victim Tristan Sik exceed all expectations since coming home. 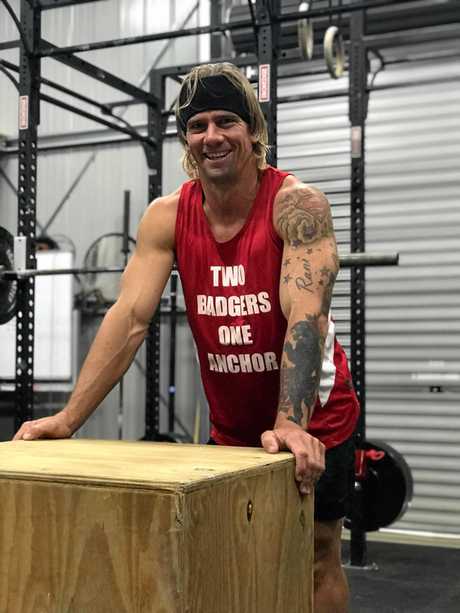 FATHER of two Adam Cross has got a passion for sport and fitness and a big personality that you can't ignore - two ingredients that should make for some great entertainment when Adam and his team take on the tough obstacle courses of Channel 7's upcoming reality TV show, Australian Spartan. SUPPORT is gathering for local manufacturing firm Widgee Engineering as representatives of the business announce a public meeting to openly discuss the situation with Gympie council later this month. 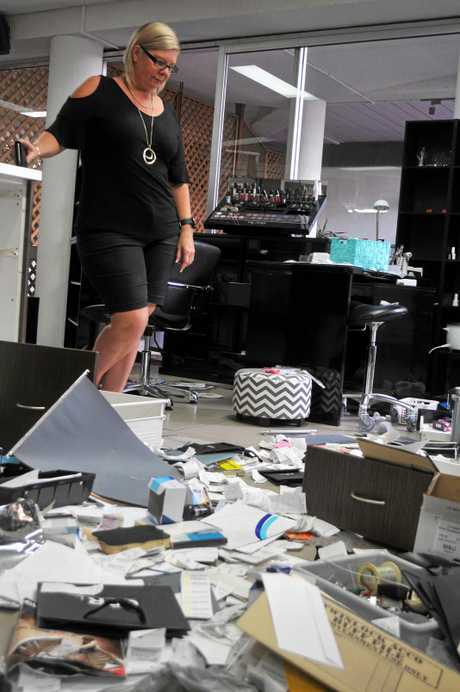 While embarrassed to say, it was the only way business owner Sharyn Alford could describe the feeling of walking into her long-standing business Talking Heads and seeing it completely trashed. NEW Gympie magistrate Chris Callaghan wants a better deal for women on the bench and for everyone in the regions. 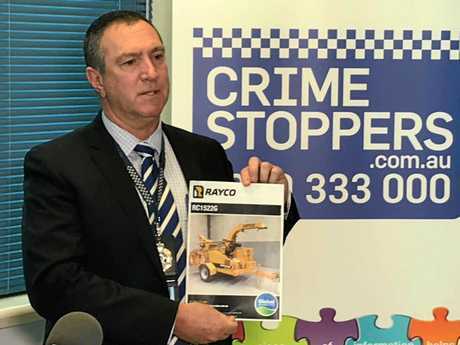 POLICE are searching for a motive behind the gruesome death of a man who was killed in an industrial-grade woodchipper at a Gympie property last November. A MARY Valley business has thrown open its doors to older residents this week as what has been dubbed "hell on earth" unleashes a string of searing daytime temperatures. 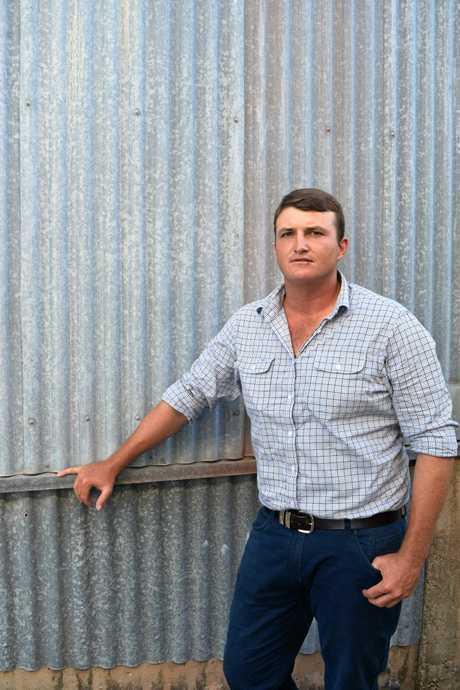 LESS than two years into his term, Councillor James Cochrane has quit Gympie Regional council in a shock decision which he said was made in the best interests of the community. A FAMILIAR face will be on the ballot to replace James Cochrane some time in the next 12 weeks, with former council engineer Bob Fredman to run in the by-election. FACED with an order from Gympie Regional council to move or shut within two years, Di Saal gave a succinct description of the past four months at Widgee Engineering. "Very bloody stressful," she said. A "MONSTER machine", a quiet country property and three everyday blokes. These are the details making up one of the most gruesome murders in Gympie region history. LONG-time couple Nic Bentley and Nicquel Dunn finally tied the knot in Gympie over the weekend after a three-year wait. A GYMPIE region man, prone to dangerous fits of extreme anger, has been saved from jail by the love of the children he sometimes whipped or beat. SHERIDAN Mollenhauer spent more than four years wanting to confront the men who killed her brother Shaun Barker. A FRASER Coast woman's incestuous relationship with her father raised questions concerning "the genetic integrity of the community," a Gympie District Court judge said this week. DAVID John Haines had no money, no home and no legal representation. 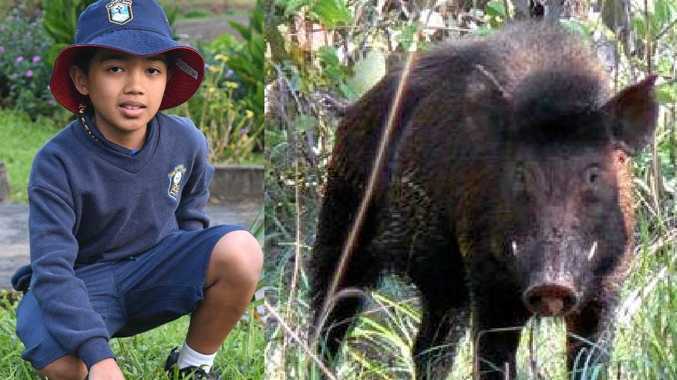 But yesterday he and a District Court judge proved there was justice, even for the little bloke. GYMPIE RSL club says it plans to sue its landlord, the Gympie RSL sub-branch, over an ongoing dispute affecting thousands of Gympie region residents. A TRAGIC highway crash at Chatsworth more than two years agowas still a raw emotional wound for truck driver Craig Anthony Eustice, when he appeared in court.